If I were to give a conservative estimate, I'd say that I could eat 500 calories in about ... eight to ten seconds. Pick the right (or wrong, I should say) food, and that's just a few bites. Now, burning 500 calories ... that's another story. It's 45 minutes on the adaptive motion trainer, closer to an hour on the elliptical, and about two and a half hours on the stationary bike. Let this be a reminder to myself, then: not only is it easier to eat well than to try and undo bad eating, but that's not a good plan for long-term health in general. Exercise shouldn't be a punishment for eating, regardless of whether it is on- or off-plan. This week started out rough - like I said in my last post, I really struggled with my eating this weekend. The bad news is, I don't know how to not be triggered by my current situation. The better news is, the situation ends tonight, after our son goes to sleep. Matthew will be on the road overnight, and tomorrow I wake up new, so to speak. I got back in the gym Wednesday, once my mother-in-law headed back to the Midwest, and I went yesterday as well. I'll go today too, but during the summer, the University gym is closed on weekends, so tomorrow and Sunday I'll maybe do a Richard Simmons DVD during Noah's nap, or we will go to the park and walk on the trails if it's not too hot and humid. I bought a Waterpik for flossing my teeth. It's embarrassing to admit, but when I get depressed, I not only don't take care of myself nutritionally, but I ignore my common sense and knowledge about hygiene. But I'm committed to making a strong effort to be better about taking care of my whole self. Weight-wise, despite a few on-plan days, I'm still up for the week - 312. I can regain weight faster than you might believe. But I'm ready to make this the last week with a gain. I've got a plan. Plans. I've got two plans. First, Whole30 starts tomorrow. No excuses. I'm gonna post as much as I can on my Instagram feed so that I can share my progress. My only change to the Whole30 plan will be to stay on track with my weekly weigh-ins, instead of one at the beginning and one at the end. I understand why they discourage it, but I also know myself, my body, and my journey, and I am at a point where I need that accountability. Second, the first time I lost the weight, it was hard to think of goal-based rewards for myself, but this time, I am going to try and see if that motivates me better. I am constantly on the fence about a Fitbit - I am interested in some of the data, but I also know that I tend to get obsessive when I know too much. (Even MyFitnessPal can be frustrating to me sometimes). So, I'll make that a goal-based reward: for every week that I have a loss or maintain, I will add $5 to a piggy bank. If I have a gain, I have to take $10 out. 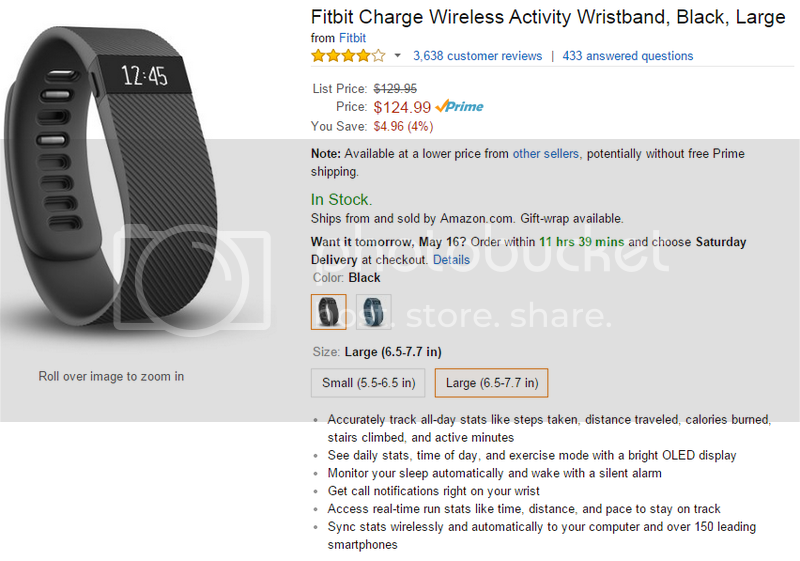 Once I have $125, that will cover the Fitbit Charge. Today is going to be very difficult and emotional, but I'm not going to let it win. Matthew wants to go out to lunch *and* dinner, and I'm going to go to one or the other but not both. Probably will go to dinner, since the place he wants to eat for lunch is triggering to me - besides being a Southern buffet (so, not a single healthy item to be found), it's also the place where we went to lunch after we got married, and I know that it would set off something in my mind - a flood of feelings that I know I would want to bury under an excess of food. I have my "Made to Crave" devotional by my bedside, ten or fifteen different mud masks in the bathroom, about a dozen canvases to paint, and an entire house to de-clutter and personalize. I also have reached out to several people who I love and trust and asked them to help me get through the day - I will text them when I am feeling triggered, to keep my hands busy and my mind occupied. I'm scared. I'm nervous. I can feel how close I am to the edge of really big things, and that's terrifying. It is terrifying, but exciting. You get to rewrite the story of you, and I love knowing how prepared you are to embark on this journey. Today will be tough, but once he's gone you will feel a huge sense of relief. I wish you much strength today, and will be thinking of you! It sounds like you have every tool in your tool belt ready to go. I have faith in you. You can do it! I am sorry that you even need to have all these back-ups for this day. But, from what you have written, this is clearly for the best. Damaging behavior over a GOOD thing (well a good thing in the long run) isn't the way to go. You've got this, Mary. When you've done all you can do to stand, then you have to trust the process. You're ready to do this. You've done superwell on your own before, and with the added benefit of all your experience, you'll do even better this time around. This time tomorrow, you will feel so much better than you do now, and you are READY for this!! Mary, I have followed you for a long time- since you were in CA- but I have never commented. You are stronger than you think! Your words are so powerful. I seriously do not understand why he would want to take you to the same place you went after getting married. Not cool! You will get through this and you will be stronger. Best wishes from Spain. You've got a great plan to succeed and get through this rough patch! Check out the YouTube fitness channel for an exercise option when your gym is closed and Noah is asleep. I did a Leslie Sansome video in my living room because it was too hot and humid to get outside yesterday. Good luck with the Whole 30. I've started it 3 different times but never seem to get much past the first 2 weeks. It IS a great tool to figure out sensitivities and addictions. All I can say is that I am sorry how hard your marital situation is for you and that you are now on a forward path that will result in peace and contentment. You can power through the emotions. Stuff my mom says "you can't control the things outside you, but you certainly can control how you react." How can you reinforce a strong vision of what you would like your reality to be? write it out? draw it? You are a strong woman! You have made some incredible changes! And getting back on the losing horse is difficult - to build that dedication and flex that willpower muscle is SO MUCH HARDER than typing it. :) Your efforts are great! Keep going. If only it were as easy to burn those calories as it is to put them.....But it sounds like you have a good plan in motion. I feel like you're setting yourself up for success!! One comment about the Fitbit. I have one and absolutely love it! I've almost lost it twice and knew even if I had, I'd still buy a new one. I have the One which clips on your hip. I find that it's more accurate than the Charge, or the ones you wear on your wrist. My friend has one of those, and moving her arms racked up steps. For example she was at a graduation, so she was clapping and it was counting those as steps when she had been sitting the entire time. I don't know if that makes a difference, but just thought I would mention it. Either way, get yourself something fun with that money!